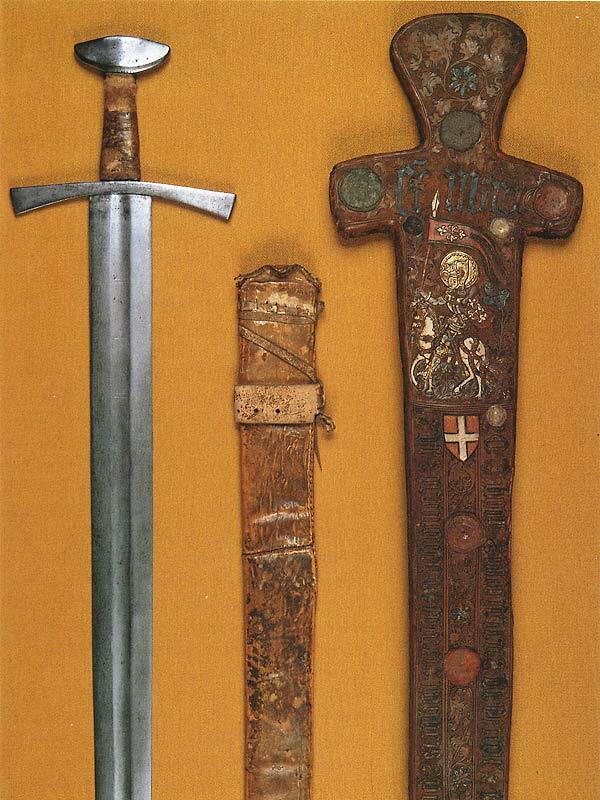 The St. Maurice of Turin sword is a replica of the sword that is reputed to have beheaded St. Maurice in his martyrdom in the 3rd-4th Century AD. 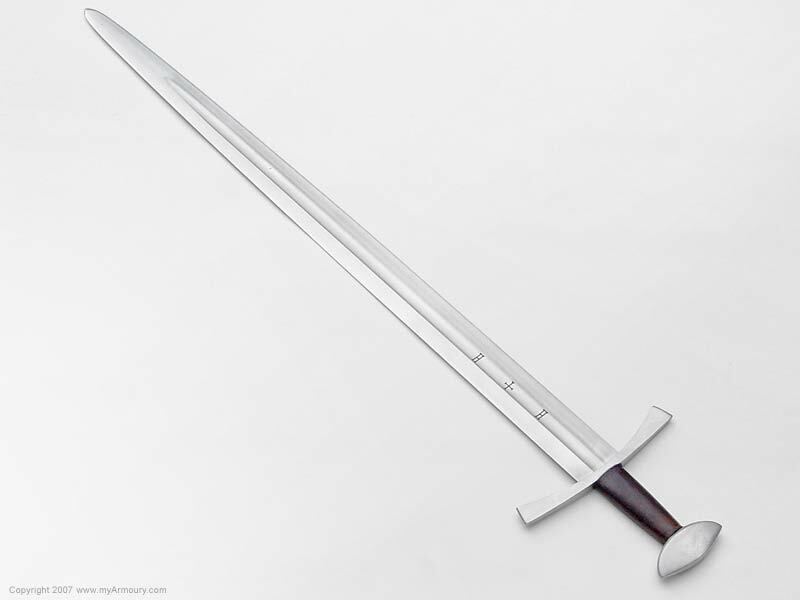 This Albion version is produced in the way the sword would have looked when new, rather than its current state. 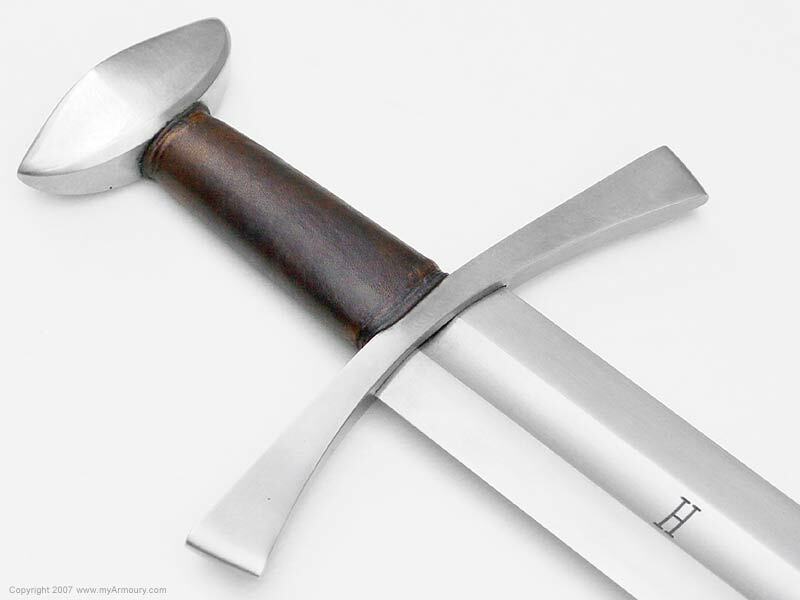 The grip is linen-wrapped over a wooden core and covered in leather. 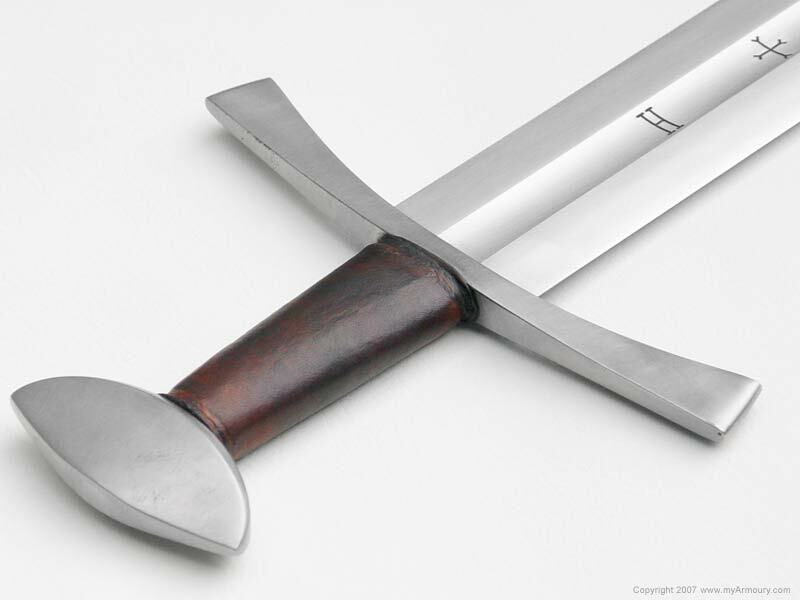 It has been suggested that due to the size of the blade on a single-handed sword this would likely have seen duty as a cavalry weapon in its fighting life. 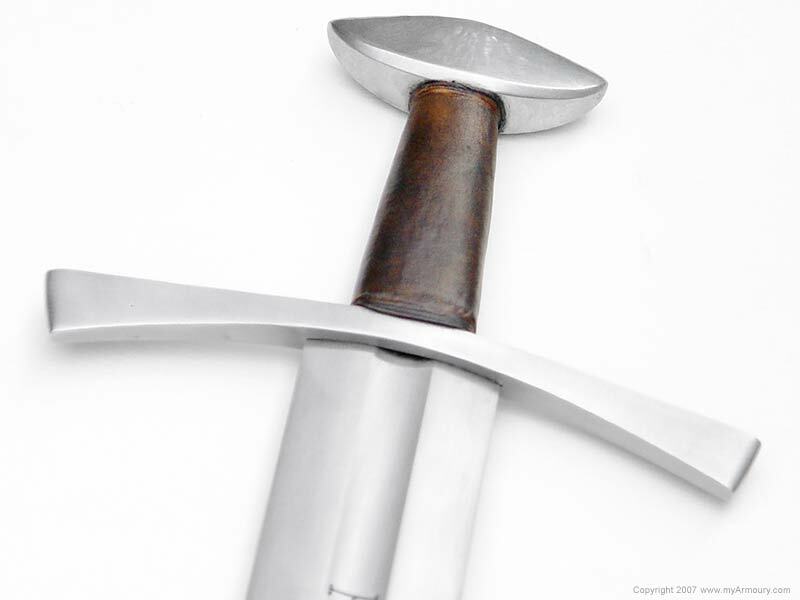 The pommel is a flattened version of a Brazil nut form known as the Oakeshott Type A. 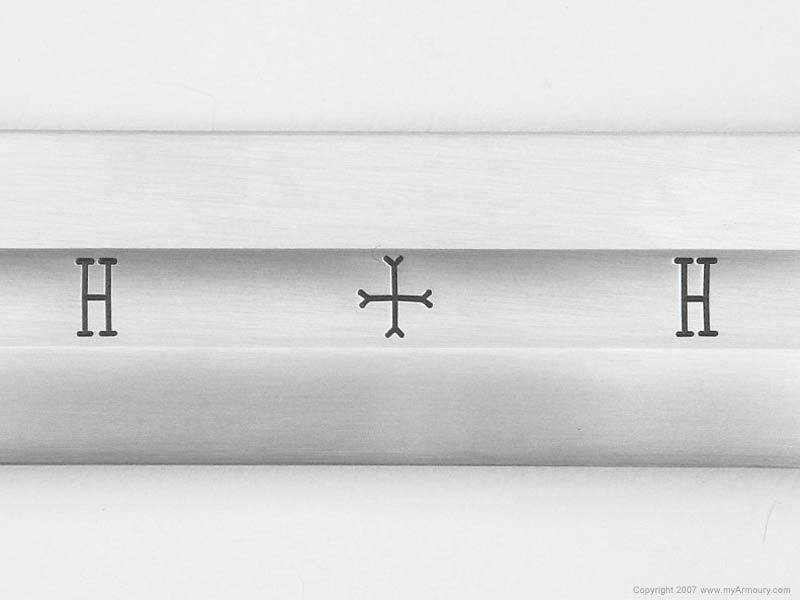 The fuller of the blade is engraved with H+H on one side and +H+ on the other. 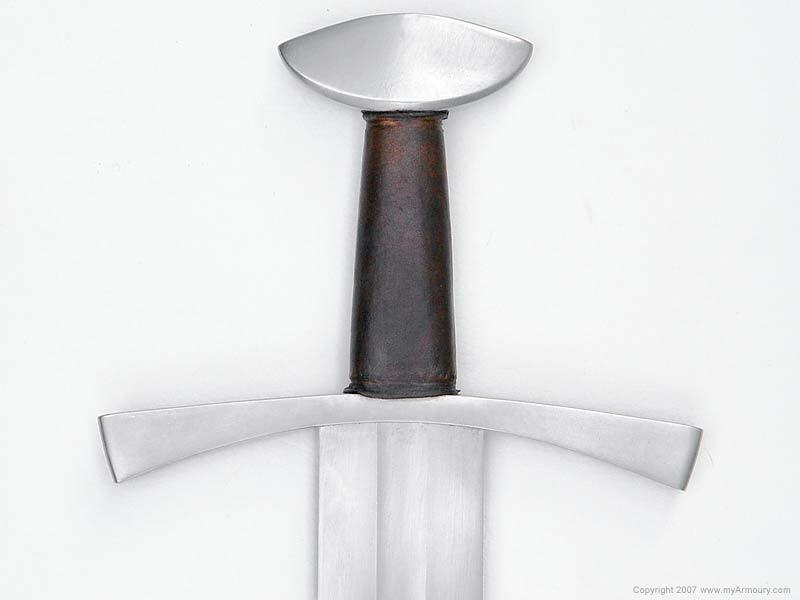 It is believed this is a reference to the holy trinity. 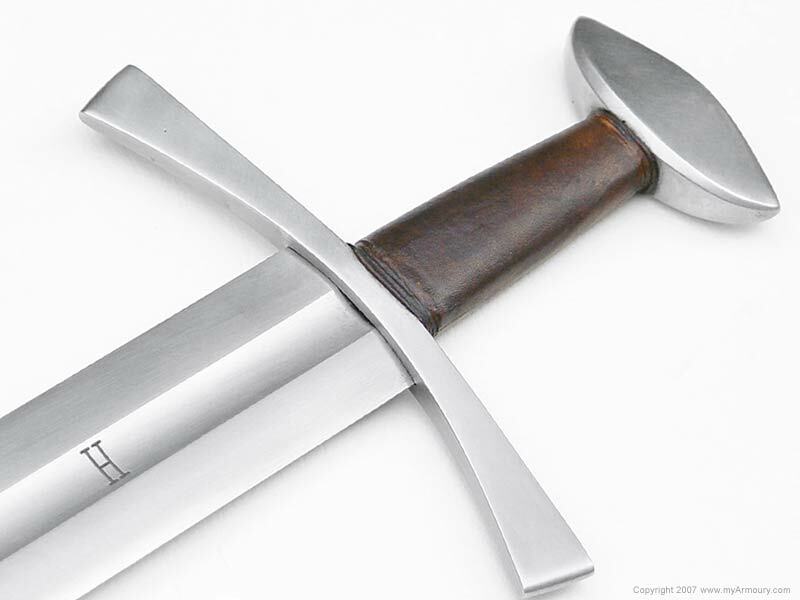 The Style 6 guard is of a curved form. 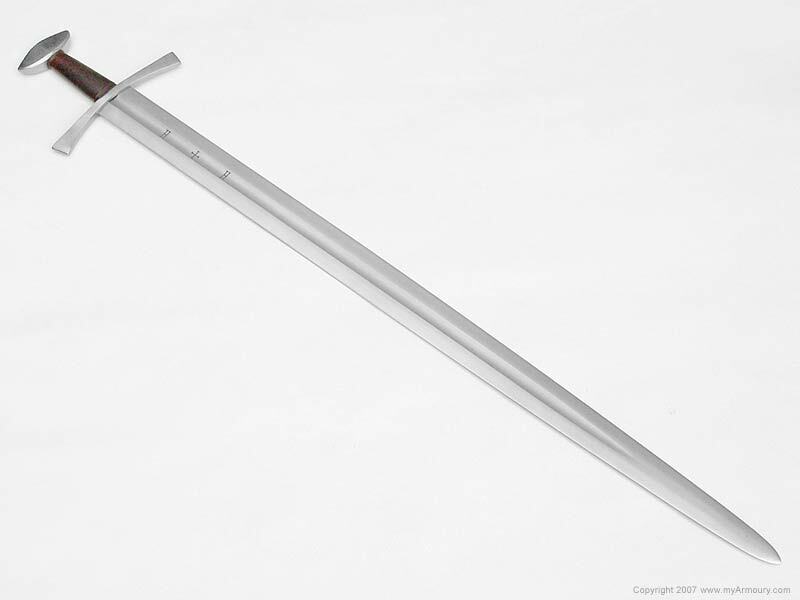 Blade: 36.125"; 2.125" wide tapering to 1.125"
Based on the antique found in the Armeria Reale, Turin, Italy.